This book was originally written in 1928 and it is a timeless classic. The money illusion is a phrase economists use to describe how people think about money—in comparative rather than absolute terms and the traps they can get into as a result. These authors take you through nine steps to break free from money illusions and begin to take control of your finances and your financial future with a clear eye. The author, a home economist, takes a look at the real costs of two incomes to help those parents who might be debating going back to work count the costs of the second income without illusions. This book is a classic for helping couples come to understand each other when it comes to money. Olivia Mellan is a psychotherapist who has been giving workshops to help couples learn to manage money conflicts since 1982. Her advice is sound and practical. 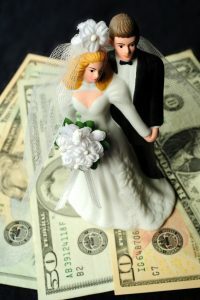 A great deal of couple conflict comes about because of differences in how people think about and handle money. Olivia Melan helps you learn about your own attitudes toward money so that you can know better how to manage money conflicts in a relationship. Dave Ramsey is not everyone’s cup of tea. For one thing, he’s a conservative Christian. But his financial advice is timeless and sound for anyone who really, really wants to get out of debt and into financial freedom. This is another highly practical but religiously informed book on money management. In it, Ron Blue, advises practical strategies such as compartmentalizing–a repair account for home repairs, a Christmas account for Christmas expenses, a general saving account for unexpected crises. Most people use credit for unexpected expenses and fail to anticipated predictable events like home repairs, Christmas, and retirement. This book, like Money Illusion, is a timeless classic that has been around for decades. But unlike Irving Fisher’s tome, it is short and readable. Read it for the principles it offers, but you’ll still need something else to help you construct a sensible budget and make the practical changes that will set you on track.